On Saturday was World Club Show in Anif. Were entered 26 black miniature schnauzers, judge Alberto Velasco (Spain). Our Milla was shown in Champion class and was placed 2nd in the class. On Sunday World Dog Show took place in Salzburg. 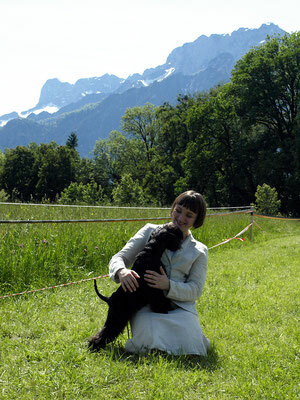 Black miniature schnauzers were 105, adults were judged by Miroslav Zidar. Milla got excellent in Champion Class. Full results you can find here.